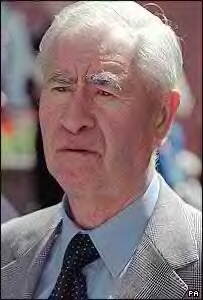 Congratulations go to Bill Pertwee, who was awarded the MBE on 28th November 2007. Bill, 80, attended the ceremony with his son Jonathon and said he was "surprised" by the honour. He has received it in recognition for all his charitable work. There is now a special page featuring screen grabs from the "Paul O'Grady Show" Hi-De-Hi Reunion special here. The latest addition to the site is the Dad's Army Actor Profiles, which can be viewed here. 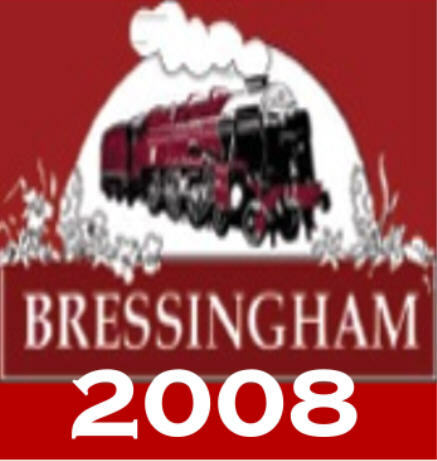 A date has been set for the next Bressingham event. it is to be held on Sunday 11th May 2008. It is hoping to be a full blown Perry and Croft day, like in 2006, but plans are still to be finalised. The BBC have announced details of next month's release of the Christmas Specials DVD. - Bonus well hidden Easter Egg! The release is still scheduled for the 12th November. 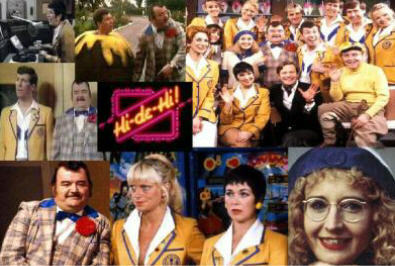 We now have a special page commemorating the special Hi-De-Hi Reunion, held in October 2007. The Dad's Army Complete Box Set is due for release on the 29th October. It includes the entire 9 series plus the Christmas Specials, over 14 discs. The Christmas Specials get a separate release on the 12th November. Doesn't time fly! The Perry & Croft site is now 1 Year Old! To help celebrate this, I have now completed the Dad's Army episode guide with Series 9 now on the site. I hope you have enjoyed the site over the last year, and look forward to another year of Perry & Croft on the net. Perry and Croft forum member "boggle", has provided us with some photographs from this years Dad's Army Day at Bressingham. These can be viewed here. A major new stage production of Dad's Army is to tour the UK from September until Spring 2008. The show will feature the 2 lost episodes from Series 2, as well as The Deadly Attachement. Leslie Grantham is to play spiv Private Walker and Emmerdale actor Peter Martin will play Mainwaring. The show's producer Ed O Driscoll says "With the cast we weren't looking for mimics or lookalikes, but actors to reinterpret the roles". He also states that they are "delighted" to be bringing the lost episodes to life. The derelict Anchor Hotel in Thetford which was badly damaged by fire earlier this month, looks like it will be saved from demolition. 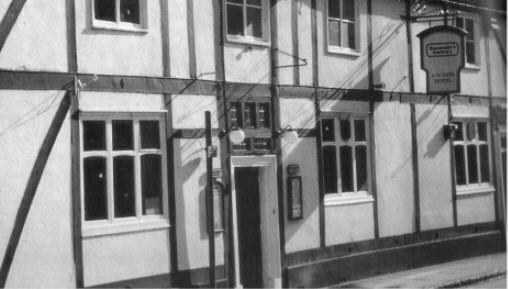 The owners of the hotel, which was featured in the opening scene of the first episode of Dad's Army have stated "We never looked to demolish the site. Our plans are well noted and we will be submitting plans for a residential conversion with a bit of commercial in the near future". The boarded up property has been called an "eyesore" by local residents, but the property is still an Historic 18th century building. 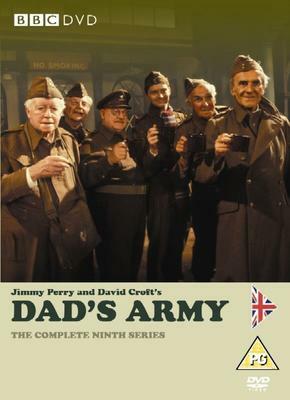 This is the cover artwork to the ninth (and final) series of Dad's Army, which is to be released on 21st May 2007. Although this is the final full series there is to be a release of the "Specials" later in the year, with some extra features worth waiting for! This years annual Dad's Army event is to be held on Sunday 13th May at Bressingham Steam Museum, Diss, Norfolk, and it promises some special guests attending the event. Series 9 of Dad's Army is to be released on 21st May 2007, featuring Ian Lavender on the "We Are The Boys" featurette. 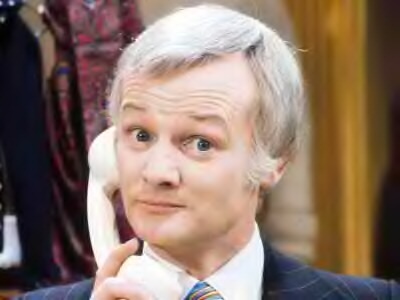 It is with great sadness that we report the death of John Inman, who starred as Mr Humphries in David Croft's "Are You Being Served?". He passed away early on March 8th in hospital after suffering from Hepatitis A since December 2004. He was aged 71. He is survived by his partner of 35 years, Ron Lynch, who is "devastated". 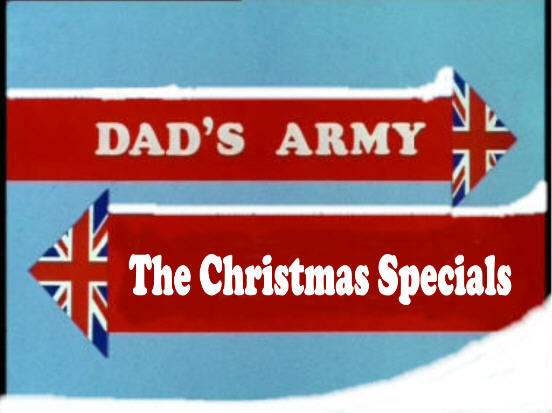 Latest site update is the episode guide to Series 8 of Dad's Army, I have also included The Christmas Specials on this page to keep them in broadcast order. 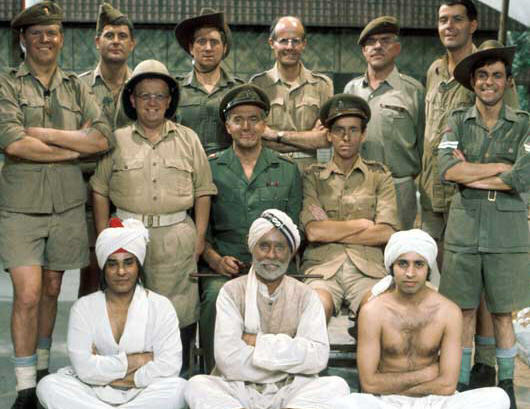 The latest update to the site is the episode guide to Series 5 of It Ain't Half Hot Mum. The artwork for the Series 8 release of Dad's Army has been revealed. This is released on 5th March 2007. Please note that some of the online retailers are claiming that this release contains the episodes "My Brother And I" & "The Love Of Three Oranges". IT DOESN'T. 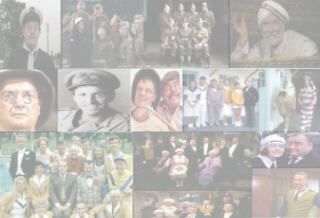 It contains the six episodes from Series 8 Only, plus the "We Are The Boys" featurette, Clive Dunn and Picture Gallery. There is now a page of the Hot Mum section of the site dedicated to the Comedy Connections programme which was shown on the BBC, January 2007. This includes some screen grabs from the show. To view click here. It Ain't Half Hot Mum is getting the same treatment as Hi-De-Hi did a couple of years ago. The BBC are broadcasting Comedy Connections - It Ain't Half Hot Mum on Friday 26th January 2007 on BBC1 at 10:35 pm. With interviews from the cast as well as information and classic clips, this should make very entertaining viewing! Rob at Su Pollards website Su Online would like to apologise to visitors. Due to server problems the site is currently down, but would like to say that they hope to have it back up and running as soon as possible. A very happy new year to all! Hope you all had a very nice Christmas and a great new year, and some good news to look forward to. 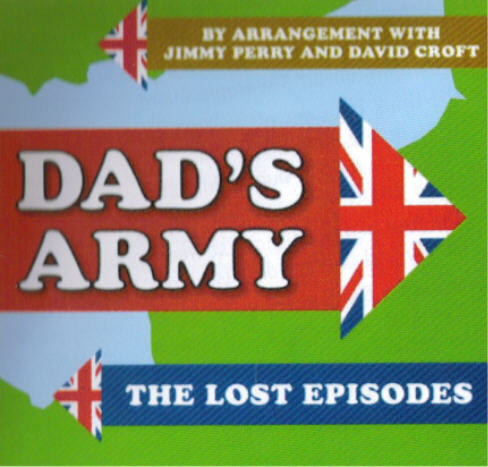 It is looking very likely that the next Dad's Army/Perry & Croft day will be on Sunday 13th May 2007 at Bressingham Steam Museum, Norfolk. It is yet unclear if this will be a full blown Perry & Croft day, as was the case last year or a Dad's Army day. More news on this soon. 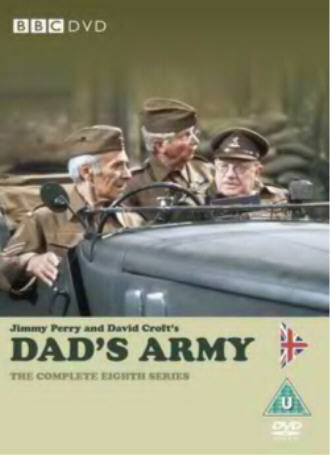 Also the forthcoming release of Dad's Army - Series 8 on 5th march 2007 featuring all episodes from the Eighth Series as well as the We Are The Boys featurette on Clive Dunn. Artwork to follow shortly. Two weeks later is the long-awaited and previously delayed It Ain't Half Hot Mum - Series 6 DVD, released on the 19th March 2007.